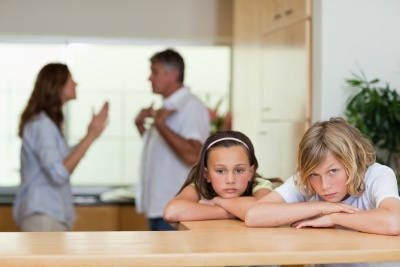 For families who are being touched by divorce, the legal process can be especially difficult. Just figuring out the logistics of custody can be difficult, to say nothing of the emotional toll parents and children have to struggle with. I owe my perspective on this to my wife, Nicole, whose parents divorced when she was quite young. For years now, Nicole has championed the reason why we have a family law division. We’ve all seen just how much damage crooked lawyers can do in this field, so she watches over us to make a difference for families who are struggling through one of the toughest times in their lives. Our firm has built a team of professionals who understand that our family law division will NOT operate like a typical divorce firm that churns the clock and drags out the process. Just as we hold ourselves to a high standard of ethics when it comes to estate planning, we are challenging ourselves to take the high road when it comes to divorce and custody. We know divorce is profoundly painful and deeply personal, but we also believe that in the majority of cases, amicable partings are possible. Crucially, we will have resources available to help our clients and their former spouses plan and maintain effective co-parenting strategies. When properly executed, these can make life easier on your children and the legal proceedings less traumatic for everyone. Remember that how you treat your kids should never be about your spouse; it should always be about the kids. No one needs to be put through the emotional gauntlet that some kids are forced to endure. No family is perfect, and separating is sometimes the reality you are faced with. While this will never be easy on children, there are steps lawyers and parents can take to make the best of a situation you didn’t expect or plan for. Thanks to my wife, Nicole, we at Keystone do our part to implement these changes. And thanks to her, I not only understand the important role lawyers have to play in this process, but I’ve also gotten a chance to see how we can make a difference for these families. Call (480) 418-8448 for your Free Case Evaluation to discuss how we may help with your family matter.